Interstate 59 at the rural diamond interchange (Exit 99) with U.S. 11 east of Laurel. Photo taken 06/12/04. Traveling 172 miles through southeastern Mississippi, Interstate 59 joins the Greater New Orleans area with Hattiesburg, Laurel and Meridian. Combining with Interstate 20, I-59 exits the state northeast to Tuscaloosa and Birmingham, Alabama. I-59 replaced U.S. 11 as the main route north from Picayune to Poplarville, Hattiesburg, Ellisville, Laurel and Meridian. 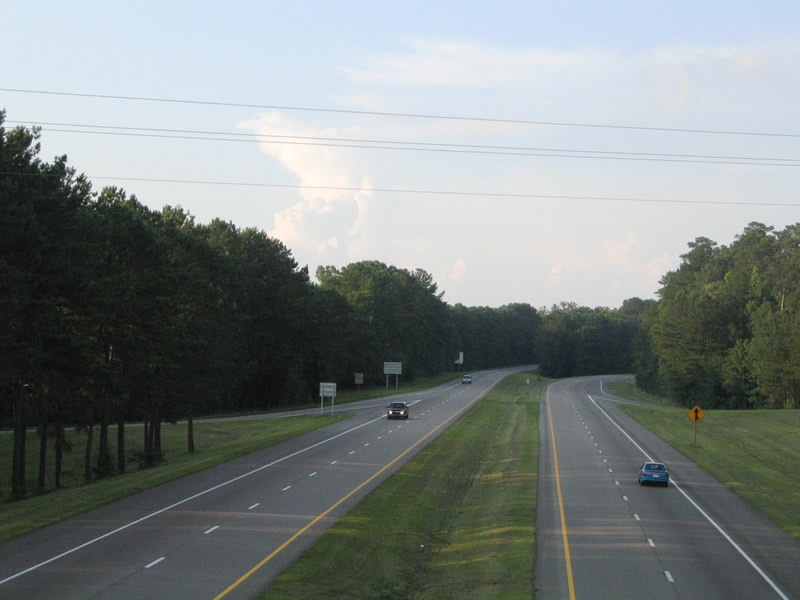 The freeway is mostly rural, with urban sections in west Hattiesburg, through Laurel and along side I-20 and U.S. 11/80 in Meridian. U.S. 98 overlaps with Interstate 59 as part of its bypass of Hattiesburg between Columbia and Lucedale. "Getting it straight: Last touches on Mississippi project put &apos;S-Curve&apos; in rearview mirror." Mississippi Business Journal (Jackson, MS), May 8, 2011. "I-59 work continues - Should be complete by July." Laurel Leader-Call (MS), December 11, 2010. "MDOT to begin interchange construction on I-59, MS-42." WDAM (Moselle, MS), March 13, 2019.